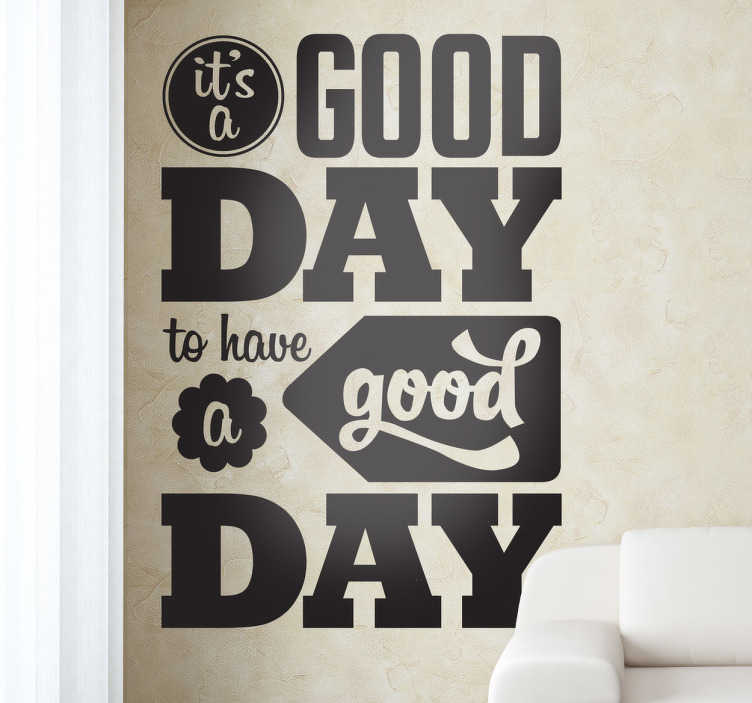 "A good day to have a good day"
A motivational wall sticker for decorating your living room, bedroom or kitchen. A brilliant monochrome text sticker to provide you with a positive atmosphere to start your day. Are you looking for a quote decal that will keep you motivated? This sticker will give your living room an elegant appearance and a cheerful environment. Available in a wide range of colours and sizes.